The Centers for Disease Control and Prevention (CDC) estimates that 23.1-million Americans have been diagnosed with diabetes. Studies have shown that 25 percent of persons with diabetes develop foot problems related to the disease and that up to 15 percent of persons with diabetes develop foot ulcers. 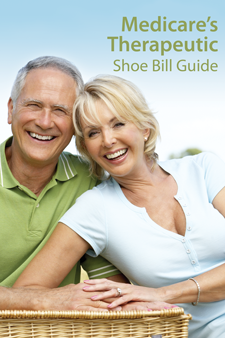 Since 1993, Medicare has covered certain therapeutic shoes, inserts and modifications for persons with diabetes who meet specified qualifying requirements. (b) The patient has a prescription for a particular type of footwear (e.g., shoes, inserts, modifications) from a podiatrist or physician who is knowledgeable in the fitting of diabetic shoes and inserts. (c) A "Statement of Certifying Physician for Therapeutic Shoes" from a physician who manages the patient's diabetes, which certifies that the patient (a) has diabetes mellitus, (b) has at least one of the qualifying conditions (see above), (c) is being treated under a comprehensive plan of care for his or her diabetes, and (d) needs diabetic shoes. 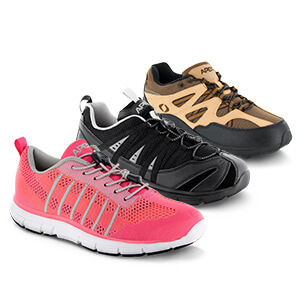 1 pair of off-the-shelf depth shoes and up to 3 additional pairs of multi-density inserts. 1 pair of off-the-shelf depth shoes including a modification, and up to 2 additional pairs of multi-density inserts. 1 pair of custom-molded shoes and up to 2 additional pair of multi-density inserts. Medicare program representative for details. The information contained herein is a summary of Apex's understanding of select Medicare rules and policies, and is intended for information purposes only. Persons and entities participating in the Medicare program are responsible for understanding all applicable Medicare policies before submitting claims for payment to the program, and you should use this publication only as a guide. Failure to comply with such rules and requirements can have serious consequences. For comprehensive or authoritative guidance, please consult Medicare program representatives and publications or your counsel.